Among today’s leading filmmakers, none brings to the screen such a deep awareness of how power is channeled from First to Third World societies, or exhibits such great human sensitivity, as Raoul Peck. Collected here for the first time are Peck’s three early feature and documentary screenplays as well as his seminal film Lumumba. 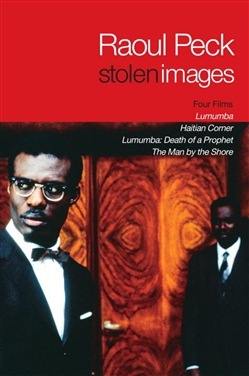 In this collection of screenplays are Raoul Peck’s award-winning pair of films that cemented the director’s place in the internationalist cinema canon—the documentary Lumumba: Death of Prophet and the 2000 feature film Lumumba—about the life and assassination of Republic of Congo Prime Minister Patrice Lumumba. Also included are Raoul Peck’s first feature, Haitian Corner—set during the last, violent breaths of Haiti’s Duvalier regime—which asserted a Haitian Creole identity in Brooklyn in the 1980s, and The Man by the Shore, the first Haitian film ever to be screened in theaters in the United States and the first Caribbean film ever entered into competition at the Cannes Film Festival. Each film presented includes introductions by the author, production stills, storyboards, and poster art. Acquista Stolen Images in Epub: dopo aver letto l’ebook Stolen Images di Raoul Peck ti invitiamo a lasciarci una Recensione qui sotto: sarà utile agli utenti che non abbiano ancora letto questo libro e che vogliano avere delle opinioni altrui. L’opinione su di un libro è molto soggettiva e per questo leggere eventuali recensioni negative non ci dovrà frenare dall’acquisto, anzi dovrà spingerci ad acquistare il libro in fretta per poter dire la nostra ed eventualmente smentire quanto commentato da altri, contribuendo ad arricchire più possibile i commenti e dare sempre più spunti di confronto al pubblico online.